Q How do you analyze the current political situation in the country? The government remains stable enough. The government leaders work amicably and cordially with each other. But, unrest remains among people over the moves to impose new fines and to increase taxes. We need money for development, and that has to be obtained by way of taxes. Things will fall into place with the passage of time. Q Yet, the budget is criticized sharply. There are strikes everywhere. The ministers cannot agree with each other. How will it impact the future of the government? 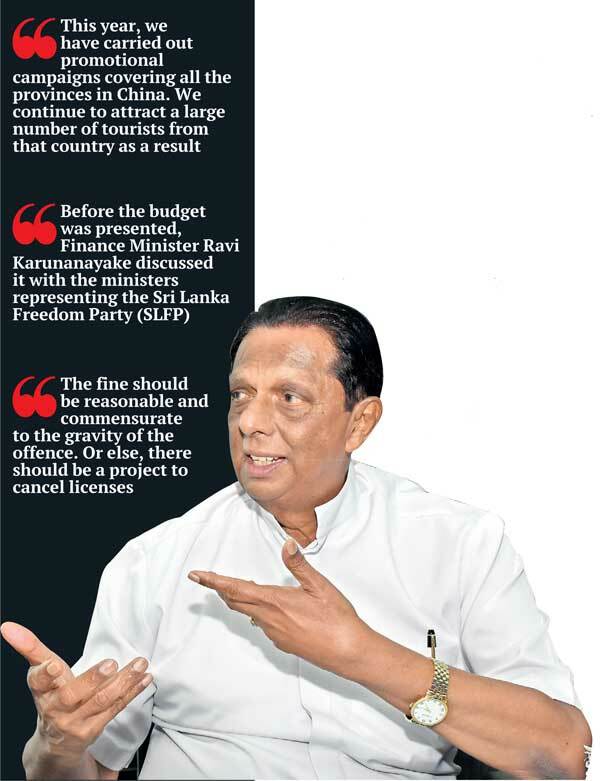 Before the budget was presented, Finance Minister Ravi Karunanayake discussed it with the ministers representing the Sri Lanka Freedom Party (SLFP). It was presented with their concurrence as well. The opposition questions the budget. That is understandable. With the intervention of President Maithripala Sirisena, plans are underway to address these issues. It is natural for there to be different opinions regarding a budget. It happens all the time. When such matters were brought out in the past, the successive governments addressed them. That is to respect the people’s views. Unlike in 2002, we inherited a country with a huge debt burden. We have to find ways and means to reduce it. Once that is done, people will start getting the relief they seek. Q How long will it take for the government to ensure relief to the people? It will take a year or more. Once the current budgetary proposals are implemented, we will be able to reduce the tax burden to a great extent. That is possible actually if we implement the financial proposals as they are. We intend to do it. The economy will also develop when we open up new businesses. The tourism sector, which I handle, has become a US$ 3.5 billion industry for the government. In another couple of years, it will improve further. Then, we can ease the current economic hardships of the people. Tourist arrivals are bound to rise to 2.2 million next year. Then, we will receive more foreign exchange. Also, it will generate new employment opportunities. Apart from the traditional hotels, most apartment buildings in the Colombo city are occupied by foreign nationals today. We plan to increase our room capacity to 45,000 from the current 30,000-35,000. You can witness for yourselves the number of hotels springing up in Colombo these days. Q During the previous rule, there were plans to lease out two islands off Kalpitiya for tourism projects. Do you intend to proceed with it? We inspected the project site. These islands are occupied by fisher folk. We cannot evict them at once. We need to talk to them and create a conducive atmosphere for them to receive alternate land. It is part of our programme. We have noticed some environmental concerns as well. The Prime Minister instructed us to address them. Otherwise, the islands will be inundated by seawater very soon. We have put a systematic plan in place in this regard. Q Today, the Chinese boast the biggest number of tourists in the world. What have you planned to attract more Chinese tourists to the Island? This year, we have carried out promotional campaigns covering all the provinces in China. We continue to attract a large number of tourists from that country as a result. That is a welcome sight. We continue to conduct promotional programmes and are training Chinese speaking tour guides. Next, we will build more and more Chinese hotels and restaurants to cater to them. In the north, we are planning to establish tourism training centres for the benefit of youths there. There are a few hotels opened up there. In Mannar too we will develop tourism. It has to be done systematically and gradually. However, we sometimes encounter problems with the Northern Provincial Council. 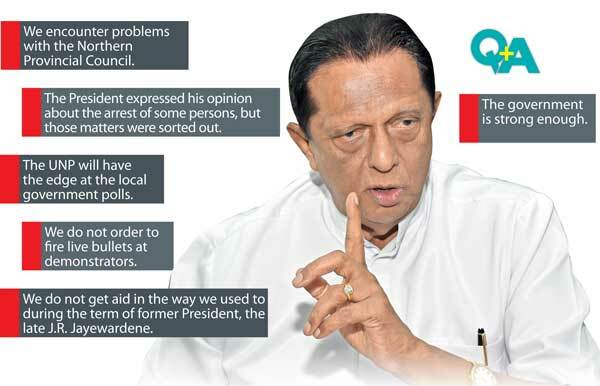 Q What are the problems you face with the Northern Provincial Council? You see the kind of disturbance created by the Chief Minister. You can read them in the newspapers. I have small problems. We have given freedom for all. We have ensured freedom for all. Anybody can criticize the government. Media freedom has been guaranteed. You would have seen the protests even around Parliament. Whenever problems crop up, the President and the Prime Minister give solutions for them. Q As a long-serving politician, how do you see the concept of a National Government between the two main parties? It is a good move. The two main parties in the country have united to work together. Both engage with each other and address public needs. I think it is an example commended by many countries in the world. Q How do you assess its performance following the union of between the two parties? In recent times there have been a few issues that have cropped up. But, they have been sorted out now. Our economy is progressing well. 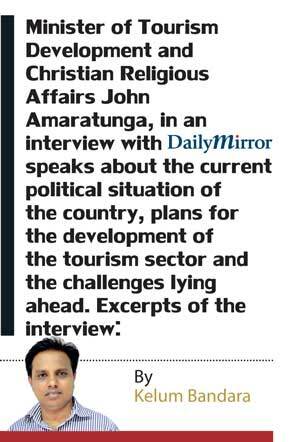 Q Though you say the idea of a National Government has been a success several UNP Ministers said their party was facing a disadvantage as a result. What are your views on this? I do not agree with that. We are bound to protect the interests of people of both sides. If one party governs the country only the interests of its members will be looked after. Today, there is consensual governance. It is done properly. What is regrettable is the fact that a section of the SLFP sits in the opposition under the banner of the joint opposition. It will ruin the SLFP politically. The government is strong enough, though. Q How do you brace yourself for the next election? That we have to look into. The local government election is due. When the UNP, the SLFP and the JO group contest, the UNP will have the edge. The SLFP is already divided. It will translate into an advantage for the UNP. A new party has also been formed. Things are therefore looking good for the UNP. We ran the government for nearly two years smoothly. As for the President, he is a genuine and innocent leader. He is commended by the UNP and its people. There is no corruption allegation against him. He is committed to live up to public expectations. So is our Prime Minister. When these two run the country, it will be beneficial to our people. Q Despite all that, the President was critical of the government’s law enforcement bodies for politicizing the police. What have you got to say about it? The President expressed his opinion about the arrest of certain individuals. But, I think those matters were sorted out. Q As for corruption cases, there is an allegation that it is a politically motivated exercise. In most cases, charges are yet to be filed. How do you respond? We have set up an independent judiciary and an independent police service. If a complaint is lodged, we will have to prepare the plaint thoroughly with supportive evidence. That is done gradually. We cannot file charges at once soon after the arrest of an individual. This is how democracy works. The accused should be given a fair hearing. Some say those involved in multi-million rupee frauds are still at large. I do not agree with it. Most have been arrested and produced before courts now. We have completed preliminary investigations into most cases. Q Though you say the police service is devoid of political interference, there is major uproar in the country about the telephone call answered by the Inspector General of Police (IGP). You were also the Minister in charge of the police at one point. What is your view on this? We established the police commission at that time and gave it a free hand. I never interfered with the police in discharging their duties. I watched the IGP answering a call over his mobile phone recently. I do not know who called and what was asked. Yet, it is wrong. Then, the IGP should also have responded saying that it was something not under his purview and that it should be a matter to be referred to the police commission. Q Today, there is a wave of public anger directed at the current administration. How does it affect the day-to-day running of government? Of course, whenever any problem emerges, people assemble near Parliament or in the Colombo Fort area to demonstrate. Then, the government has to look into it. If there is any genuine issue involved, it should be addressed. Yet, the forward march of the government will not be hindered by demonstrations conducted here and there. Public freedom is foremost. But it should not be exploited. If it is abused, the government should act to quell it. Unless people stop demonstrations when ordered, the police have been given the right to use tear-gas on them or water cannons to disperse them. In the past, live bullets were fired. We do not order the police to fire live bullets at protesters. 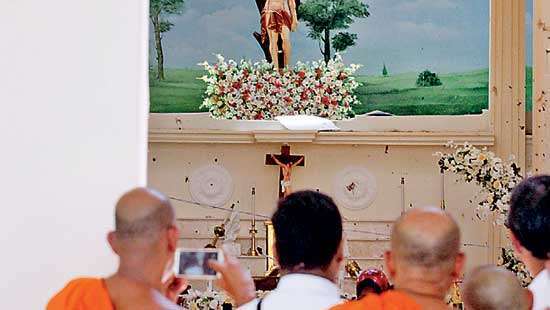 Q Recently, we watched how you are also hooted by the people of Wattala. How will it affect your work? The joint opposition always scuttles progressive work. On one occasion, I went to lay the foundation stone for a Tamil school in Wattala. Then, people, instigated by the joint opposition, started booing and hooting. On another occasion, I went for a function to mark the foundation laying for a hall meant to be used by people in the event of natural disasters. 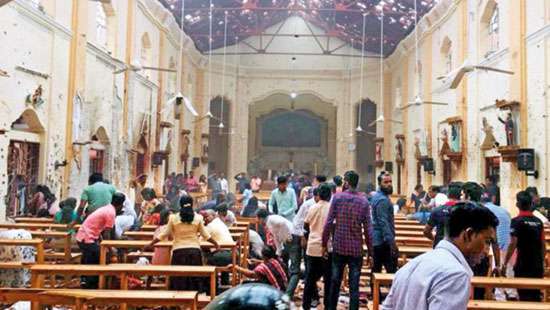 Today, they turn to temples and churches. It is to be constructed using State land. There were protests there as well. We do not shy away from protests. We act in the greater interests of people. We cannot be stopped. 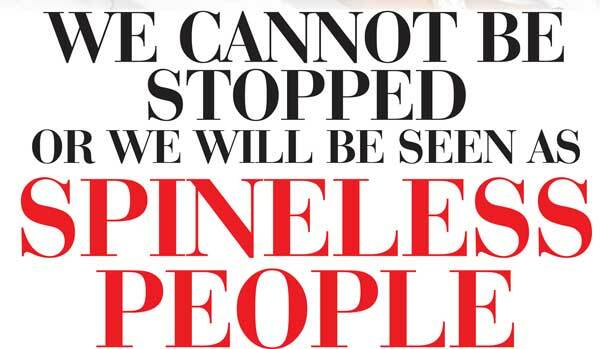 Otherwise, we will be seen as spineless people. Q What is your opinion on the proposal to increase the fines on seven road traffic offences to Rs.25, 000? Different views prevail in this regard. There is concern whether a poor person is able to pay such a fine. The fine should be reasonable and commensurate to the gravity of the offence. Or else, there should be a project to cancel licenses. Fines are needed, but there is a debate on the amount. Q During the previous rule, your party, as the then opposition, was critical of the heavy Chinese presence in the country. But, now your government is offering even more investment opportunities to them. Why this change of heart? At that time, there were plans to give lands to the Chinese on freehold basis. We give them on lease hold basis only. Some loans had been obtained at high interest rates. Now we get low interest loans. We need financial assistance from abroad. The then government was heavily indebted to China. We have to reduce the burden by modifying and altering certain projects. Q You did not get assistance that was expected from Western countries as expected. What are your views on this? The West is mired in its own problems. These countries are grappling with many internal issues. We get help from the International Monetary Fund (IMF) and the World Bank. We get help from Japan as well. 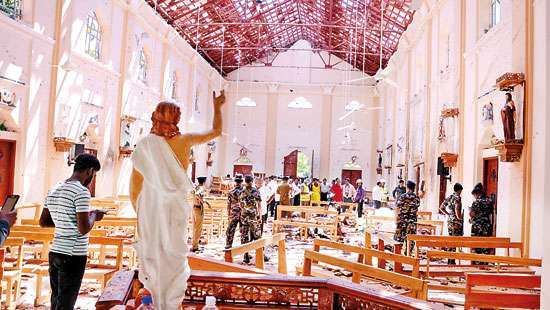 Yet, I have to admit that we do not get aid in the way we used to during the term of former President, the late J.R. Jayewardene.